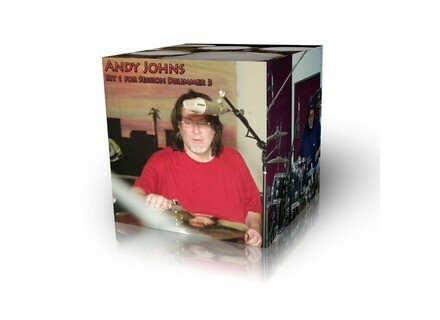 Andy Johns Kit 1 (Session Drummer 3), Drum/Percussion Sample from Platinum Samples. Cakewalk announces the availability of Andy Johns Kit 1 for Session Drummer 3 (Platinum Samples) and Neil Peart Drums Vol 1 for Session Drummer 3 (Sonic Reality). The Andy Johns Kit 1 features a sampled hybrid kit with a Pork Pie bass drum, DW Toms and Andy's personal engraved Ludwig Black Beauty snare as well as a Hihat, 3 Crash cymbals, 1 Ride, a China and a Splash cymbal with up to 12 velocity levels and 6 round robin variations. Also included are 120 MIDI Grooves from the Platinum Samples Steve Ferrone (Tom Petty & The Heartbreakers) and Bobby Jarzombek (Halford) MIDI Groove libraries. Neil Peart Drums Vol 1 for Session Drummer 3 by Sonic Reality features samples of the authentic Drum Workshop Signature "Snakes and Arrows" kit of drummer Neil Peart from the band Rush. This custom DW kit was made to spec for Neil Peart, with a 23" kick drum, an array of toms, cymbals and a rocking snare recorded through vintage Neve channels using vintage tube and ribbon microphones by engineer/producer Nick Raskulinecz. Photorealistic drum kit page to load kits, programs, patterns, and tweak mappings. Dedicated Mixer page for fine tuning kits (12 channels each) with control over volume, pan, width, and tuning controls. Mix and match kit components: all kit pieces are broken down into individual components. Drag-and-drop drum components: build kits by dragging any WAV or OGG file from the desktop onto a pad. Collection of presets and MIDI-based loop files. Both Session Drummer 3 Expansion Packs are available for download at the Cakewalk Store. 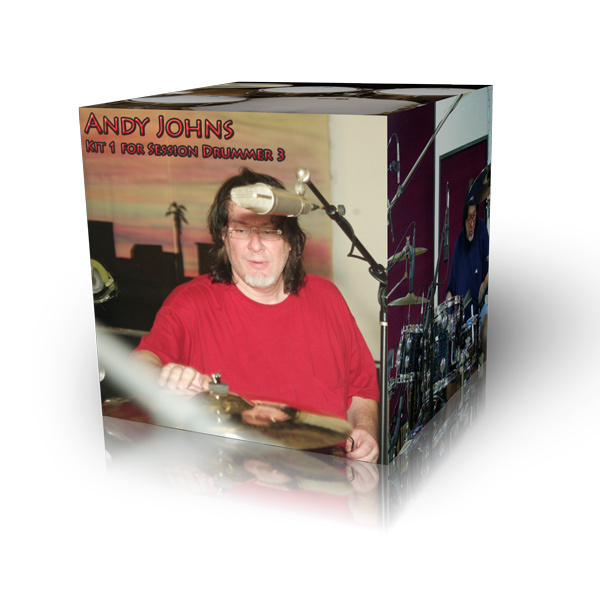 The Andy Johns Kit 1 for Session Drummer 3 is $39.95. The Neil Peart Drums Vol 1 for Session Drummer 3 is $99.95. For more details, visit www.cakewalk.com. Drum Werks Studio B Kick Drum Drum Werks announced the release of a new bass drum samples library for a range of rock, hard rock, alt rock, and metal styles. Analog Factory Rotten Ghetto Attack Rotten Ghetto Attack, the new release by analogfactory, is a patch library for Native Instruments Massive which focuses on "nasty and dirty lead and bass sounds."